For those into the DJ culture! This week, one of the biggest events in the DJing world is taking place. 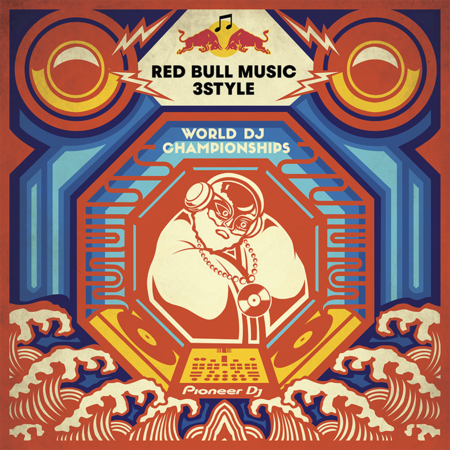 The Red Bull 3Style World DJ Championships feature 24 DJs from 24 countries competing for the title of world champion over the course of 4 elimination nights and 1 finals night (Sunday, January 28th). 21 national DJ champions (each of whom has first won the National Championship title in their home countries) are Taipei-bound for the first time to compete for the world title from January 23-27, 2019. During four days of qualifying events, the finalists will each be given 15 minutes to perform an original set showcasing their skills and creativity, complete with Red Bull Music 3Style’s signature twist: DJs must play at least three different genres of music during their set. Judging will focus on originality, skill, track selection, and crowd reaction. The top four qualifying finalists will then battle it out for the World Champion title on Sunday, January 27. Check out redbullmusic3style.com for all the latest news and updates.